An adidas Campus with camouflage 3-Stripes. Originally an '80s B-ball design, the laid-back Campus style makes it a perennial streetwear pick. 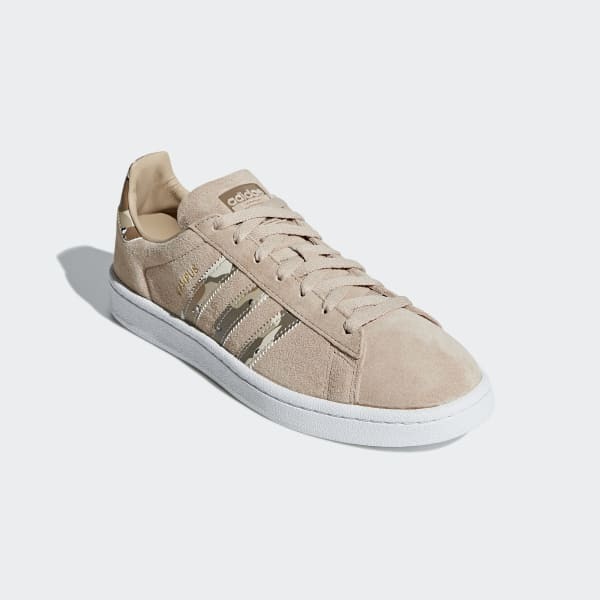 This version comes in pigskin nubuck with camouflage 3-Stripes to add a streetwise edge. The shoes are built tough with a reinforced toe cap and a sturdy rubber cupsole.